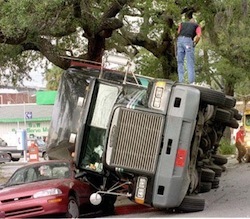 Encino Truck Accident Injury Attorney - Over 40 Years of Experience You Can Trust! Have You or Anyone You Know Been Hurt in a Truck Accident or Car Accident in Encino? Our Encino truck accident injury lawyers and law office offer aggressive and compassionate legal representation for the injured victims of truck accidents, including crashes with a heavy hauler, which is a vehicle that transports oversize loads of cargo generally made of timber, and for the families of the victims killed in fatal collisions or for wrongful death claims in the Encino community, located in the city of Los Angeles in Los Angeles County, California. The 2010 Census recorded 41,905 residents for Encino with 4,411 people per square mile, making Encino one of the lowest population densities in Los Angeles. Encino is bordered by Tarzana and Calabasas to the west, Reseda to the north, Sherman Oaks to the east and Brentwood to the south. 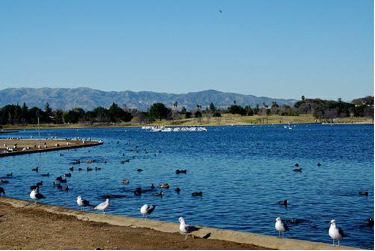 Encino is known for its parks and recreational areas. A place to visit in Encino is the monument of the Encino Oak Tree or California Live Oak that stood for over a millennium until it was brought down in 1998 by the El Nino. The stump of the tree remains as a monument and is a symbol for Encino because the word "oak" in Spanish is Encino. The Balboa Park in Encino is also a nice place to visit. The park contains a playground for children and an artificial lake that gives a scenic view for visitors. Some notable people that reside or have lived in the community include Johnny Cash, Clark Gable, Chick Hearn, Ron Howard, David Hasselhoff, Ice Cube, Michael Jackson, Lisa Kudrow, Richard Pryor, Sally Ride, Ashlee Simpson, John Wayne, and the famous UCLA basketball coach John Wooden. To obtain more helpful facts about other truck accident injury claims, visit our Truck Injury Accident Web Site. This is essential for truck drivers who are required to travel far distances with their cargo. Many truck accidents occur from truck drivers falling asleep on the wheel and going into other lanes. Having a full meal causes a person to use extra energy to digest the food, which leaves the body without enough oxygen and nutrients that leads to fatigue. It is suggested that truck drivers make short stops and have smaller meals or snacks at different rest stops on the road to prevent a potential truck accident that can lead to numerous casualties. An extremely serious injury that a victim of a truck crash can obtain is a traumatic brain injury (TBI). The brain is a very sensitive part of the human body where any kind of damage sustained could be irreparable and alter one or several motor skills, sometimes even leading to death. A truck accident can cause damage through the skull and into the brain because of the strong impact that occurs on a person's head, causing the head to violently shake throughout the truck collision, altering the cerebral blood flow and pressure within the skull. If you or a loved one suffered any brain trauma from a truck accident or other personal injury accident in Encino, Los Angeles or anywhere in California, please contact us now, including for referrals to doctors who may treat you without requesting payment until your claim is resolved. For additional information about our law firm, please go to our Attorneys' Profile Pages. The Law Offices of Gary K. Walch, A Law Corp., provides you with the strong advocacy that you need, along with understanding and care, when you or a loved one has gone through a horrible truck collision or other injury accident in Encino or anywhere in California. We will aggressively pursue your rights and best represent your interests. Our lawyers handle accidents involving truck, train, bus, motorcycle, bicycle, car, uninsured motorist (UM), hit and run, pedestrian and much more.